The December DIALOGUES event, "Katerina Vrana: I nearly died laughing" featured a discussion with stand-up comedian Katerina Vrana. Katerina took stock of the past year, discussing the trials and tribulations that almost cost her her life and the dreams she has for the year ahead, all with the incredible humor that earned her third place in the "Funniest Person in the World" competition. The event took place on December 19th, 2018 at the Athens Conservatoire. 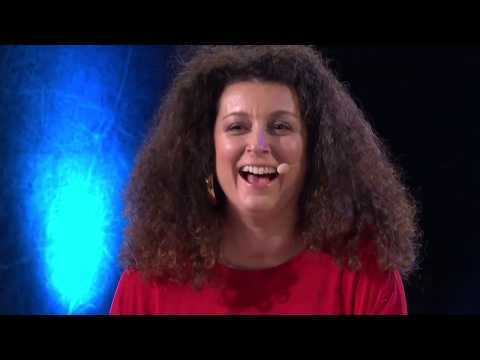 Katerina Vrana is one of Greece's top stand-up comedians. She has been a Funny Women Finalist, a TEDx performer, has appeared on BBC TV and Radio and on Greek TV, has gigged in the UK, Greece, Australia, the United States and the Southeast Europe, has hosted her own night at the Southbank Centre in London, and is one of the founders of Angel Comedy, one of London's most successful comedy clubs. CNN included her in its list of "Female Comedians to Watch" alongside Bridget Christie, Janeanne Garofalo and Sarah Millican to name a few. In December 2016 Katerina represented Greece in the Laugh Factory's "Funniest Person In The World" competition. She was the only woman to reach the Final and came third. In April 2017, Katerina fell critically ill and is currently in recovery. Katerina Vrana discussed with journalist, Anna-Kynthia Bousdoukou. Following the discussion with Katerina Vrana, we celebrated DIALOGUES’ first birthday with a party featuring VaniLa Swing and Labis Kountourogiannis a.k.a Dj Labeast (Wedding Singers / Imam Baildi).